Gummybear International Unveils New Animated Character Paperotti - Gummybear International Inc.
Gummybear International, a company dedicated to the creation, development, and branding of animated entertainment properties, has revealed a brand new animated character, Paperotti. 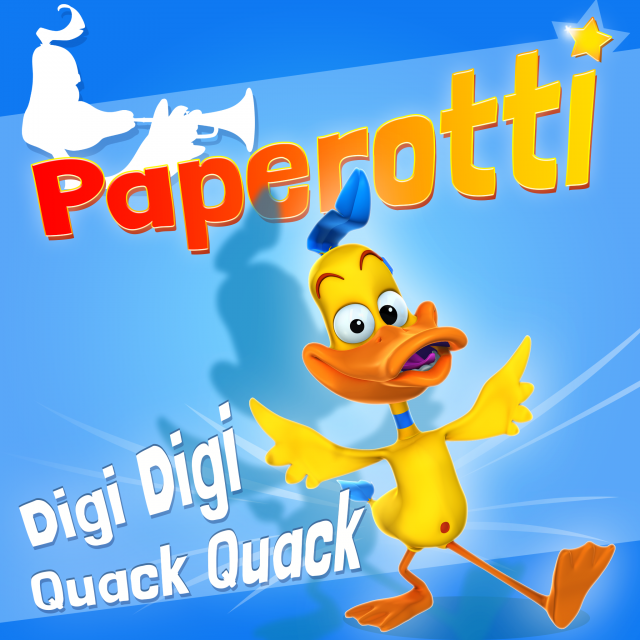 Paperotti is a funny and energetic animated character, who enjoys dancing, singing, playing instruments and much more. Whether he is singing, swimming, riding his scooter or just being plain silly, children and adults alike are sure to be drawn to his funny antics. Paperotti made his internet debut with his animated video for “Digi Digi Quack Quack,” which premiered on YouTube on Friday, July 7th. “Digi Digi Quack Quack” is set to be released on all digital platforms including iTunes, Amazon, Spotify on Friday, July 21, 2017. Multiple language versions including, Spanish, French and Italian are in production and will bring joy to children worldwide. About Gummybear International: Gummybear International is engaged in the creation, development, and branding of animated entertainment properties, as well as musical content based on and produced for such properties. It markets and sells recorded musical and video products in various physical formats, such as compact discs and DVDs, and digital formats, such as downloads and ringtones, through a worldwide network of established distributors and licensees. The company’s music publishing segment owns and acquires rights to musical compositions, markets these compositions, and receives royalties or fees for their use. It also is actively developing mobile and computer based games and exploiting merchandising rights for its brands in cooperation with a variety of licensing partners. GBI is working on a number of film and TV projects. The company is headquartered in New Jersey. For more information, visit the Gummybear International website at http://www.gummybearinternational.com.